You will always want to remember the first time your baby walks or the first time your baby smiles or says your name and UBuildABook offers a wonderful way to preserve these priceless memories: by creating your own Baby Book. 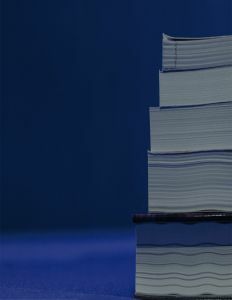 Printing your own baby book is a wonderful way to organize and preserve all the amazing moments of your child's life. 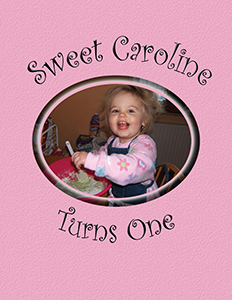 Publishing your own personalized Baby Book is also a great alternative to the baby scrap books which are currently available because you can design them to your own liking. You can custom create your own layout, fill your baby book with photos and commentary and organize your baby book according to your tastes. If you prefer for us to create your layout, we can do that as well. Creating your own baby book for your baby is a much more personal and meaningful way to document the memories of your baby's first few years. Best of all, your baby book will be one of a kind just like your baby! 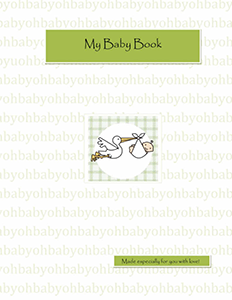 You can create a baby book for any period of your child's life. Maybe create a baby book for each year of your child's life and give them something they can hand down generation after generation. You can make copies for grandparents and other family as well. We can turn all of these wonderful memories into a valuable baby memory book! You can include as many photographs and as much content as you want and create your baby memory book in any shape or size with as many pages as you desire. The possibilities are limitless!